“Ah, summer, what power you have to make us suffer and like it,” said American writer Russell Baker. 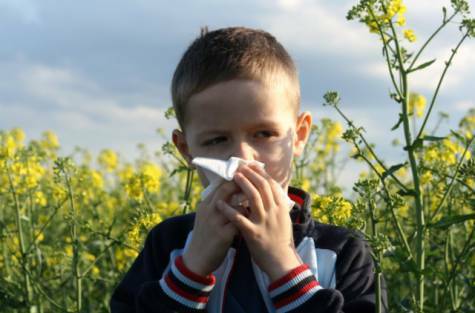 There are things to like about summer: the bright, long days, the holidays, the frozen desserts etc, but in most parts of our country, summer is seldom kind because of the soaring mercury levels and brings with it a whole host of health problems. Here are a few things you should be aware of, to protect yourself and enjoy the season. Sunstroke: Sunstroke is a condition in which the body experiences an increase in its temperature and is unable to regulate heat. Often life-threatening, sunstroke occurs mainly due to overexposure to a high temperature and strenuous physical activity in warm conditions leading to severe dehydration. 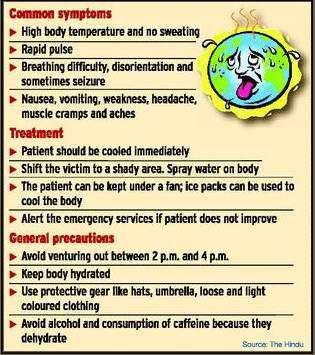 Symptoms of sunstroke may include dizziness, rapid pulse rate, high fever, nausea and convulsion. Sunstroke should be treated as a medical emergency especially in cases of young children and elderly people. The condition can be treated by lowering the body temperature with ice packs, electrolyte fluids and IV fluids. To prevent sunstroke, keep the body well hydrated, avoid strenuous physical activity and minimize exposure to the sun during peak hours. Maintaining an overall good health will help in the prevention of sunstroke. Infections: The unrelenting Indian summer heat can make one prone to viral infections, various food-borne and waterborne diseases, chicken pox and flu. The best way to fight and prevent summer infections is to reduce exposure to extreme heat, keep hydrated, wash hands frequently and keep an eye on the overall hygiene. Summer being the vacation season in India, it opens up the chances of food-borne infections from out of home eating. Particular care should be taken to avoid foods from poor storage facilities, non-hygienic conditions, poor sanitation and bad disposal management situations. Dehydration: Along with contributing to a sunstroke, dehydration in itself can a pose a serious health threat during summer. Roaming around outdoors in hot sun lead to rapid decline of fluid levels in human body through breathing or perspiration resulting in dehydration. Children and elderly people can get easily dehydrated, as their body is unable to quickly adjust with temperature changes. Drink plenty of water, fresh lime or coconut water to maintain body fluid level. Don’t wait till you feel thirsty to have a glass of clean water. Limit alcohol consumption as it can cause more body fluid loss. Offer water and fruit juices to your child. 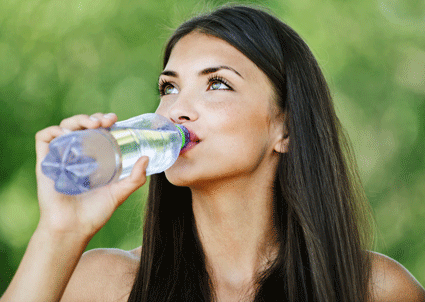 Sportspersons should take frequent water breaks to keep dehydration at bay. Skin Issues: The scorching heat of summer takes a toll on your skin and brings issues of dry skin, tanning, acne, skin rashes and red skin. UV rays from the sun harm the skin and may lead to breakdown and premature aging. Prickly heat and bad smelling perspiration can compound these problems. It is important to remember that most of these problems are associated with sun and dust exposure, lack of good skin care regime and excessive air conditioning. To keep summer skin issues at bay, keep your skin moisturized and hydrated with plenty of water intake. Avoid excessive sun exposure if possible and use a sun screen lotion irrespective of the time you are going out to prevent skin tanning and harmful UV rays. It is best to opt for a sunscreen with SPF 30 or above for Indian conditions. Wearing comfortable clothes and covering up body parts with hats and long-sleeved clothes also helps in keeping your skin protected during summer.